With the popularity of wireless networks and mobile computing, an overall understanding of common security issues has become not only relevant, but very necessary for both home/SOHO users and IT professionals alike. This article is aimed at illustrating current security flaws in WEP/WPA/WPA2. Successfully cracking a wireless network assumes some basic familiarity with networking principles and terminology, as well as working with command-line tools. A basic familiarity with Linux can be helpful as well. Disclaimer: Attempting to access a network other than your own, or one you have permission to use is illegal insome U.S. jurisdictions. Speed Guide, Inc. are not to be held liable for any damages resulting from the use or misuse of the information in this article. To successfully crack WEP/WPA, you first need to be able to set your wireless network card in "monitor" mode to passively capture packets without being associated with a network. This NIC mode is driver-dependent, and only a relatively small number of network cards support this mode under Windows. One of the best free utilities for monitoring wireless traffic and cracking WEP/WPA-PSK keys is the aircrack-ng suite, which we will use throughout this article. It has both Linux and Windows versions (provided your network card is supported under Windows). The aircrack-ng site has a comprehensive list of supported network cards available here: NIC chipset compatability list. If your network card is not supported under Windows, one can use a free Linux Live CD to boot the system. BackTrack is probably the most commonly used distribution, since it runs from a Live CD, and has aircrack-ng and a number of related security auduting tools already installed. aircrack-ng - used to recover the WEP key, or launch a dictionary attack on WPA-PSK using the captured data. Note: You can use the su command to switch to a root account. iwconfig - similar to ifconfig, but dedicated to the wireless interfaces. airodump-ng mon0 - monitors all channels, listing available access points and associated clients within range. It is best to select a target network with strong signal (PWR column), more traffic (Beacons/Data columns) and associated clients (listed below all access points). Once you've selected a target, note its Channel and BSSID (MAC address). Also note any STATION associated with the same BSSID (client MAC addresses). running airodump-ng displays all wireless access points and associated clients in range, as well as MAC addresses, SSIDs, signal levels and other information about them. WEP is much easier to crack than WPA-PSK, as it only requires data capturing (between 20k and 40k packets), while WPA-PSK needs a dictionary attack on a captured handshake between the access point and an associated client which may or may not work. You typically need between 20,000 and 40,000 data packets to successfully recover a WEP key. One can also use the "--ivs" switch with the airodump-ng command to capture only IVs, instead of whole packets, reducing the required disk space. However, this switch can only be used if targeting a WEP network, and renders some types of attacks useless. An active network can usually be penetrated within a few minutes. However, slow networks can take hours, even days to collect enough data for recovering the WEP key. This optional step allows a compatible network interface to inject/generate packets to increase traffic on the wireless network, therefore greatly reducing the time required for capturing data. The aireplay-ng command should be executed in a separate terminal window, concurrent to airodump-ng. It requires a compatible network card and driver that allows for injection mode. To test whether your nic is able to inject packets, you may want to try: aireplay-ng -9 wlan0. You may also want to read the information available -here-. WEP cracking is a simple process, only requiring collection of enough data to then extract the key and connect to the network. You can crack the WEP key while capturing data. In fact, aircrack-ng will re-attempt cracking the key after every 5000 packets. If your data file contains ivs/packets from different access points, you may be presented with a list to choose which one to recover. Usually, between 20k and 40k packets are needed to successfully crack a WEP key. It may sometimes work with as few as 10,000 packets with short keys. WPA, unlike WEP rotates the network key on a per-packet basis, rendering the WEP method of penetration useless. Cracking a WPA-PSK/WPA2-PSK key requires a dictionary attack on a handshake between an access point and a client. What this means is, you need to wait until a wireless client associates with the network (or deassociate an already connected client so they automatically reconnect). All that needs to be captured is the initial "four-way-handshake" association between the access point and a client. Essentially, the weakness of WPA-PSK comes down to the passphrase. A short/weak passphrase makes it vulnerable to dictionary attacks. To successfully crack a WPA-PSK network, you first need a capture file containing handshake data. This can be obtained using the same technique as with WEP in step 3 above, using airodump-ng. aireplay-ng --deauth 3 -a MAC_AP -c MAC_Client mon0 (where MAC_IP is the MAC address of the access point, MAC_Client is the MAC address of an associated client, mon0 is your wireless NIC). Note the last two numbers in brackets [ 5:62 ACKs] show the number of acknowledgements received from the client NIC (first number) and the AP (second number). It is important to have some number greater than zero in both. If the first number is zero, that indicates that you're too far from the associated client to be able to send deauth packets to it, you may want to try adding a reflector to your antenna (even a simple manilla folder with aluminum foil stapled to it works as a reflector to increase range and concentrate the signal significantly), or use a larger antenna. Simple antenna reflector using aluminum foil stapled to a manilla folder can concentrate the signal and increase range significantly. For best results, you'll have to place the antenna exactly in the middle and change direction as necessary. Of course there are better reflectors out there, a parabolic reflector would offer even higher gain, for example. Once you have captured a four-way handshake, you also need a large/relevant dictinary file (commonly known as wordlists) with common passphrases. See related links below for some wordlist links. Cracking WPA-PSK and WPA2-PSK only needs 4 packets of data from the network (a handshake). After that, an offline dictionary attack on that handshake takes much longer, and will only succeed with weak passphrases and good dictionary files. A good size wordlist should be 20+ Megabytes in size, cracking a strong passphrase will take hours and is CPU intensive. Cracking WPA/WPA2 usually takes many hours, testing tens of millions of possible keys for the chance to stumble on a combination of common numerals or dictionary words. Still, a weak/short/common/human-readable passphrase can be broken within a few minutes using an offline dictionary attack. My record time was less than a minute on an all-caps 10-character passphrase using common words with less than 11,000 tested keys! A modern laptop can process over 10 Million possible keys in less than 3 hours. Many Wi-Fi devices are aslo vulnerable to a WPS (Wi-Fi Protected Setup) vulnerability described in US-CERT TA12-006A Alert. WPS provides simplified mechanisms to secure wireless networks, most often using a PIN as a shared secret to authenticate clients and share the WEP/WPA/WPA2 passwords and keys. The external PIN exchange mechanism is susceptible to brute-force attacks that allow for bypassing wireless security in a relatively short time (few hours). The only remedy is to turn offWPS, or use an updated firmware that specifically addresses this issue. There are a number of other parameters that one can explore to further tweak the attack that are usually not required, such as changing the delay between PIN attempts, setting the tool to pause when the access point stops responding, responding to the access point to clear out failed attempts, etc. The above example adds "-vv" to turn on full verbose mode, you can use "-v" instead for fewer messages. Reaver has a number of other switches (check with --help), for example " -c11" will manually set it to use only channel 11, " --no-nacks" may help with some APs. An attack using Reaver typically takes between 4 and 8 hours (provided WPS requests are not being limited by the AP), and returns the SSID, WPS PIN and WPApassphrase for the target network. Note that some routers may lock you out for a few minutes if they detect excessive failed WPS PIN attempts, in such cases it may take over 24 hours. Some routers (including most popular Cisco/Linksys models) will NOT turn off WPS even if turned off via the radio button in their web admin interface. You may be able to turn it off using third-party firmware, such as DD-WRT (wich does not support WPS). Reportedly, some models/vendors/ISPs all come configured with a default pin. Common pins are 12345670, 00005678, 01230000, etc. Reaver attempts known default pins first. Reaver comilation requires libpcap (pcap-devel) and sq3-devel (sqlite3-dev) installed, or you will get a "pcap library not found" error. 1. Is your adapter properly set in monitor mode ? 2. Does the adapter driver support injection (is aireplay-ng working) ? 3. Do you have to spoof your MAC address (if AP limits MACs, change both physical and virtual monitor interface) ? 4. Do you have a good signal to the AP ? 5. Do you see associated clients (for WPA handshake capture) ? 6. Do you see WPS pin count incrementing (Reaver WPA cracking) ? 7. Does the target AP support WPS and is it enabled (for WPS attacks, check with the "wash" command) ? As demonstrated above, WEP cracking has become increasingly easier over the years, and what used to take hundreds of thousands packets and days of capturing data can be accomplished today within 15 minutes with a mere 20k data frames. Simply put, cracking WEP is trivial. WPA/WPA2-PSK encryption is holding its ground if using a strong, long key. However, weak passphrases are vulnerable to dictionary attacks. WPA/WPA2 may be on borrowed time as well, according to some recent news. 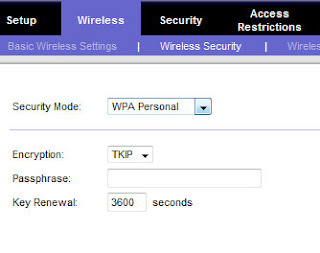 The WPS vulnerability renders even WPA/WPA2 secured wireless networks very vulnerable. An extensive list of vulnerable devices is available here: google docs spreadsheet. Note that some routers (including most popular Cisco/Linksys models) will NOT turn off WPS even if turned off via the radio button in their web admin interface. You may be able to turn it off using third-party firmware, such as DD-WRT (which does not support WPS).